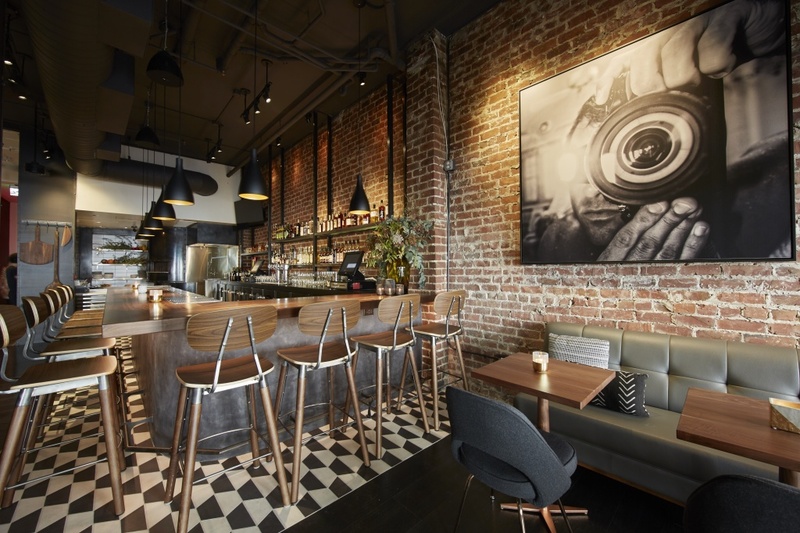 Designed by Lori Yeomans (Wayfare Tavern, Sammy Hagar’s El Paseo), the space is full of warm tones, leather seating, wood tables, and textured walls. 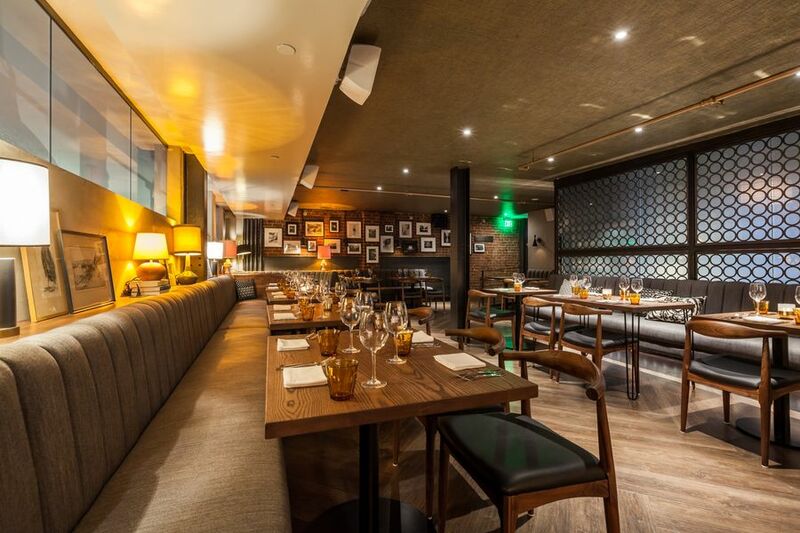 There are two distinct space — the bar area and the dining room — that all in all seats 100 people. The bar area has a large, wraparound bar and tables with leather banquettes, while the dining room is full of flannel banquettes and vintage photography. There’s also a separate mini-bar in the dining room with four seats, called Zinc Bar for its zinc top.